This dish sounds strange, but the flavor was excellent (sweet, salty, a little spicy). Easy to make and definitely worth a try. Pack the grapes into 3 glass containers with lids. Combine the vinegar with 1 cup of water in a small saucepan over medium-high heat. Add the salt, sugar, garlic, rosemary, and crushed red pepper. Stir to combine. Leave on the heat until the mixture begins to simmer. Remove from the heat and pour the hot brine over the grapes. 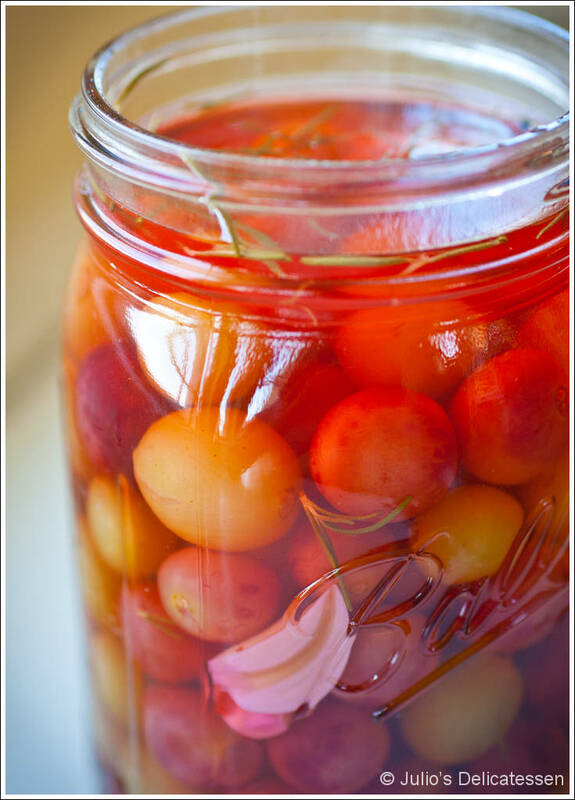 Allow jars to come to room temperature, then seal tightly and refrigerate for at least 1 hour or up to 2 weeks.